Saobao Windproof and Waterproof Automatic Compact Rain Travel Umbrella. Function: Anti-uv, Wind-proof, Water-repellent finishing. 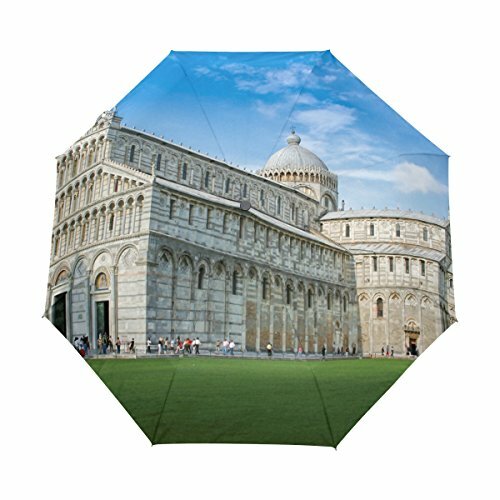 Thanks for visiting our automatic foldable umbrellas. Any questions, please do not hesitate to contact us at your convenience. MATERIAL: Made from 100% polyester pongee waterproof fabric. SUPER FAST AUTO OPEN AND CLOSE: Automatic light umbrella will open in a second, using one button to open, one hand operation. PRINTING: Image imprinted using heat sublimation technique to prevent discoloring, long-lasting effects. WINDPROOF & WATERPROOF: Durable 8 ribs withstand high winds and rainstorm, and also prevent user from sunburn and uv. CONVENIENT AND A PERFECT GIFT: It is lightweight and easy to carry for adult ,children,a variety of patterns are available.